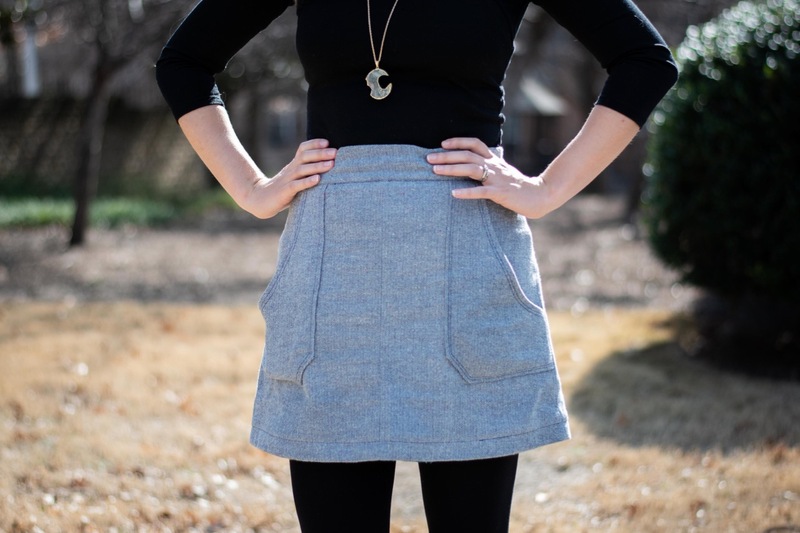 I’m so excited to be sharing my Camden skirt on the blog today!! You may have seen my early sneak peek on the pattern release day at the end of January – I had the pleasure of testing this pattern, so I couldn’t help but share a photo to promote the pattern as soon as it released. Today, I’ll get to elaborate a little bit on my experience with the pattern, and my resulting skirt! The first step for me was determining my size. My waist measured 30 inches, hips 38 inches, which put me between a size 10 and 12, per the pattern sizing suggestions. As my waist and hips are fairly soft right now (at the time I sewed my skirt, I was 10 weeks out from having a baby, and had just started working out 2 weeks before), I chose to size down to the size 10, as my measurements were a little closer to 10 than 12, and I am in the weight loss / muscle toning process. This was the right decision for me. My skirt fit great right off the bat, and I think the 12 would’ve been a bit roomy at the time, and would only have gotten roomier! I used a 44 inch wide flannel (I think?) fabric for my skirt, and a Kona cotton for the lining – both fabrics from my stash! I only needed less than 0.75 yards of each to fit all of the pieces,which is so great. This pattern could be my new go-to stash buster!! The skirt came together quickly for me. I printed my pattern on Friday, and after a few short stints in the sewing room, I had a skirt ready to wear on Sunday night! 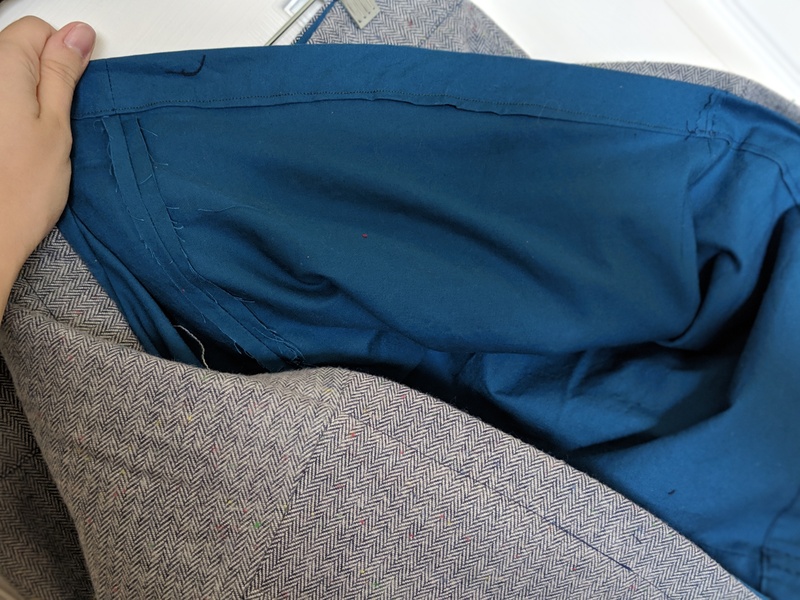 At the end of the construction process, as I ironed my hems before sewing, I realized that somehow, I ended up with the side seams of my lining facing to one side of the skirt, but the seam from the zipper/ center back facing to the other side. Both sides of my lining were now the “wrong side! !” I’m not sure if this was due to an error in the instructions, or an error I made in following directions. This was my first time taking part in the testing process for a new release pattern, and I actually really enjoyed it! In the past, I’ve been involved in post-test promotions for new release patterns, but never the actual testing. I wasn’t super keen to volunteer myself for pattern testing, as I was often intimidated by the quick turn-around times required, and worried that i wouldn’t have the opportunity to gather the supplies I needed in time to be effective. I lucked out here, and was able to use 100% supplies that I already had on hand (outer fabric, lining fabric, zipper, and thread!) and still end up with a garment that I will wear regularly – not just something that was pieced together for testing! Another concern that I’d had about pattern testing was that i wouldn’t be able to come up with any valuable feedback, or that my people-pleaser nature would kick in and I wouldn’t be able to give good, honest feedback. When it came down to it, though, I felt like I was able to give good, needed feedback without feeling like a jerk. So pretty much, it was a win! Another win for me is that this skirt filled a gap in my wardrobe that I’ve been looking to fill! My sweet baby girl has earned the nickname of “Milk Monster,” and for good reason. To keep her happy, separates are a MUST for nursing access. 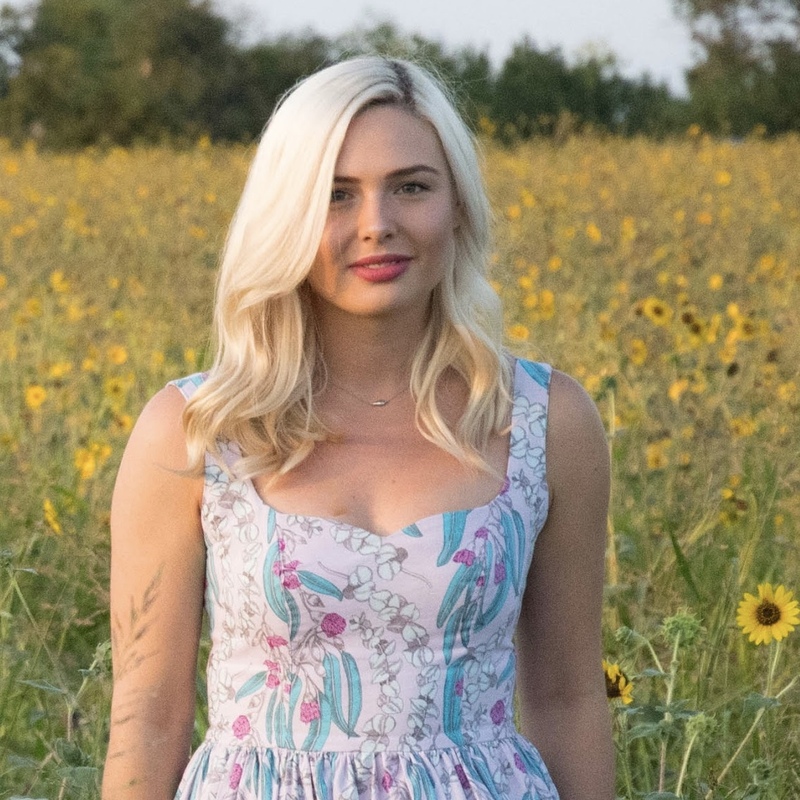 Dresses are my favorite thing to make or wear, so I’ve found myself needing to start nearly from scratch with my handmade wardrobe since giving birth. 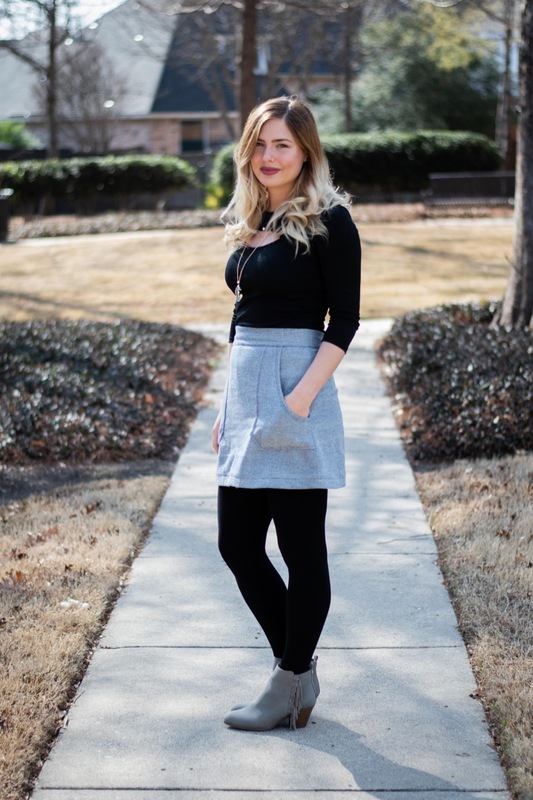 I have been looking for some great skirt options that will work for different situations – casual, date night, office days at work, etc. I actually feel like when paired the right way, this skirt could work across the board. I’m looking forward to sewing up a denim version of the Camden skirt soon. I purchased a few 1 yard denim remnants from D&H Fabric back in autumn, hoping to familiarize myself with denim a little bit before trying my first pair of jeans later this year! I’ve been on the lookout for patterns that can be made using 1 yard or less of fabric, but that I would also realistically wear. Bam – Camden wins! By the way – this version is the mini-length option of the skirt, but the pattern includes the full Pinafore option, as well! 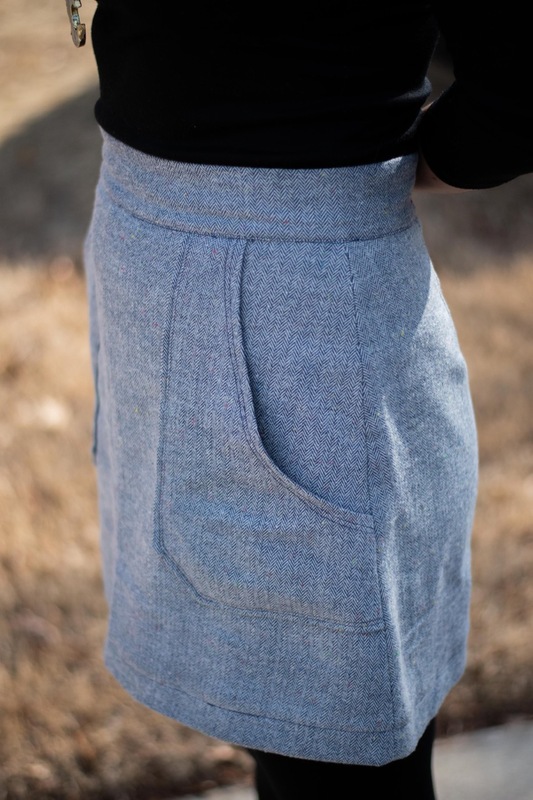 No matter which option you choose, my favorite bit of this pattern is the pockets – I feel like they really make this pattern stand out from others. I would suggest that you absolutely add the optional topstitching line around the pocket curve, which I did here. 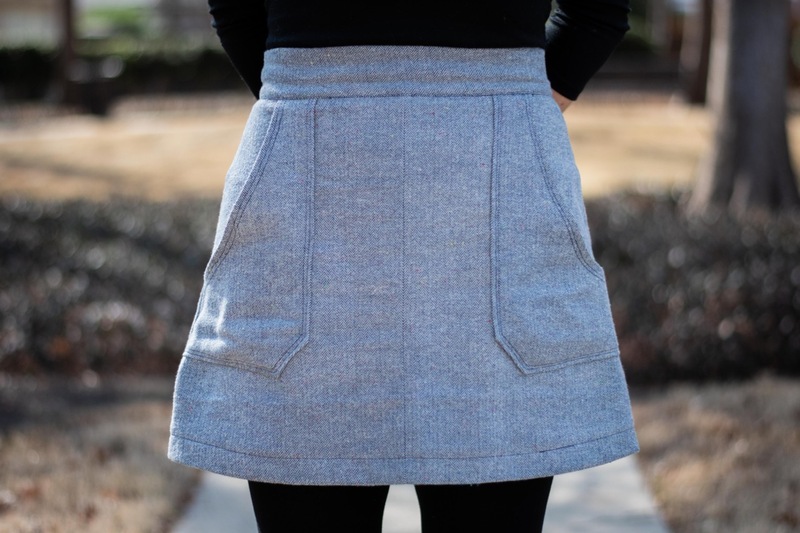 It makes the curve match with the straight edges of the pocket, and also adds that little extra detail to step up your skirt just a little more. if you look closely, you can see how well the pockets work for my giant phone! I loved my first experience pattern testing… And come to think of it, my first time working with Nina Lee London patterns at all! I am so excited about both the experience and my final garment. Have you made a Camden yet? Link yours below so that I can see!! If you haven’t, and you’re interested… Head over to my Instagram to find out how to win a printed copy of the pattern!! !